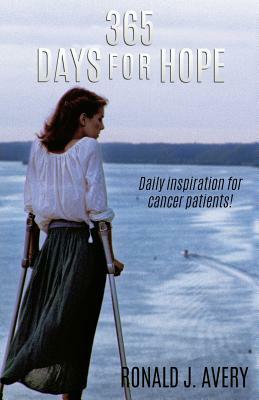 This book is an inspirational book for cancer patients. Giving them a daily positive though for their first 365 days with cancer. Hopefully this book inspires them to never give up hope that they can be cured. Ronald J. Avery is the youngest of eight children born and raised in Dubuque, Iowa. He attended Catholic grade school, high school, and college. He had a career in management of retail grocery for twenty-five years and management of wholesale beer for five years. He has had the pleasure of working with several thousand employees in his thirty years of management. He is now retired from retail and wholesale business to take up his passion in life, helping cancer patients. He is the founder, president, CEO and COB of the Avery Foundation based in Dubuque, Iowa. This Foundation is helping cancer patients with the unexpected expenses during treatments for cancer. A portion of the sale of this book goes to the Foundation. For more information about the Avery Foundation or to make a donation, visit their website, averyfndtn.org. "WE WANT TO BE A RAINBOW IN CANCER PATIENT'S STORMY CLOUDS " -Ronald J. Avery.